Carole Beckford Jamaica’s top Sports Marketing & Communications specialist penned a book on Jamaica Sport & Tourism we had to spread the word. Jamaica’s sport and tourism exploits are well known worldwide. The two industries separately account for a significant portion of the popularity of the island. 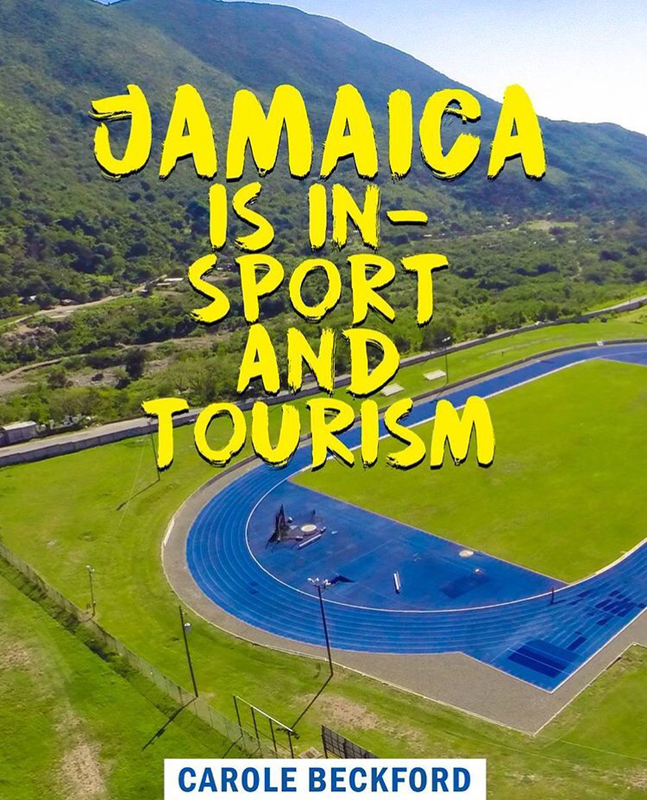 The product sport tourism, while not new, is one which Jamaica has great potential and Carole Beckford in her latest publication, Jamaica is In -Sport and Tourism has outlined her views on the subject matter. The 115-page book takes a comprehensive look at how sport, tourism, and sport tourism have evolved in a developing economy like Jamaica. The book covers the period 2007 – 2014 and looks at preparation for the Beijing and London Summer Olympic Games along with other events and/or activities which offered Jamaica a competitive advantage. Beckford in the book insists that the island possesses all elements of a formula for a successful sport tourism industry; but the agencies have been slow in implementing what is required to make the industry work. Among a number of key issues discussed are sport and the environment; sport and politics; export of sport services and administrative structures, to name a few. As a member of the Business of Sport team in Jamaica, she insists, sport and tourism combined are key to enhancing the island’s social and economic development, while achieving goals of inclusion. With a body of work in sport at several levels covering almost three decades, Beckford thinks it is time Jamaica formalises its plan to convert for a successful sport tourism business model to benefit the island. With a thumbs up from Assistant Professor, David Edwards, Johnson and Wales University, Brand Specialist, David Faulks, Australia and Business Management expert, Horace Madison, New York this publication is a must have!